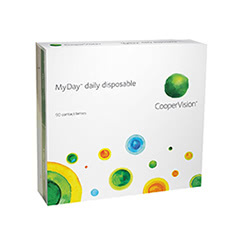 CooperVision’s MyDay contact lenses are designed to maintain the natural balance of your eyes. These lenses feature the groundbreaking Smart Silicone technology, a result of extensive research into the perfect combination of contact lens materials. Smart Silicone allows oxygen to reach the cornea faster, ensuring that you can enjoy crisp and clear vision, and that your eyes stay healthy for longer. CooperVision work hard to ensure that these lenses provide a superior wearing experience; according to their research, 83% of contact lens wearers prefer MyDay contact lenses to the more popular alternatives currently on the market. 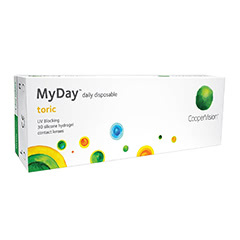 Choose Lenstore.co.uk to order your MyDay contact lenses today. We are dedicated to making our customers happy, every time they order; this is why we offer you access to professional optical advice, competitive prices, and convenient delivery options.